Charted is a tool for automatically visualizing data, created by the Product Science team at Medium. 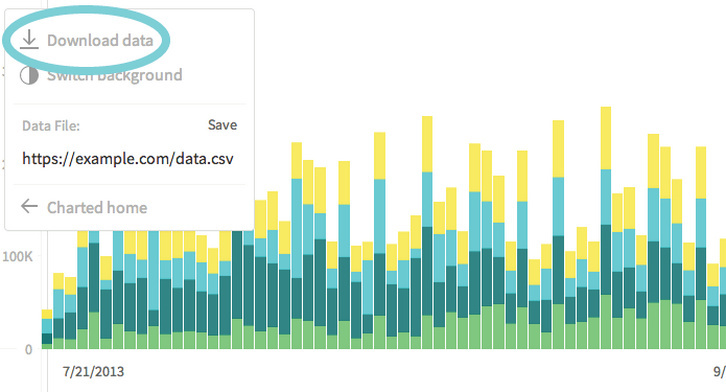 Give it the link to a data file and Charted returns a beautiful, shareable chart of the data. Charted does not store any data. It only fetches and visualizes what the link provides. It also refetches the data every 30 minutes, so the chart is always up-to-date. Charted is open-sourced and available for anyone to use at charted.co. The publicly-hosted charted.co works with files that are already publicly accessible to anyone with the link (e.g., Dropbox share links). For protected or sensitive data, you can serve your own instance of Charted on your secure network.